Would you eat your deodorant? 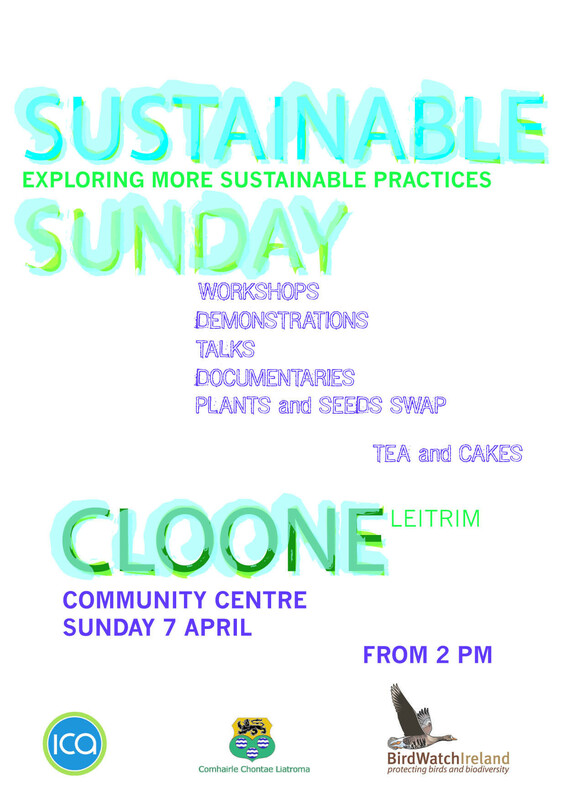 If not you probably should not put it under your armpit either... instead, you could come along to the Cloone Community Centre in South Leitrim from 2pm today, Sunday 7 April for Sustainable Sunday. Learn how to make deodorant and toothpaste with kitchen ingredients, wax cloth to replace cling film : small steps towards reducing your use of single use plastics and save money. There will be other demonstrations, and workshops around fun recycling crafts projects, talks and documentaries, and all is free. The event is organized by Cloone ICA with funding from Leitrim County Council. and seeds to swap, get information on garden birds with Birdwatch Ireland, bats and bees, and what to do about micro-plastics. While in Cloone you can also stroll down the lovely Bóthar Na Naomh walkway, all in all a great day out.